To extremely increase the wear and chemical resistance of the floor surface, make attractive, safe and easily maintainable at a fraction of the cost of a replacement floor. Recommended on all types resilient floors such as PVC, linoleum and rubber floorings with a plain or slightly structured surface in commercial environments such as healthcare, education, retail, hospitality, car dealerships, sports, leisure, hairdressers and many more. Shake both Super PU 100 and the cross linker well and add the cross linker to the Super PU 100 canister and thoroughly mix both components by shaking thoroughly. Apply the mixture evenly over the floor using the Aquatop Roller, working in sections of a maximum of 1 metre at a time to avoid the formation of pools. Allow the surface to dry for at least 2 hours before walking on the floor with caution. With newly laid, non-absorbent flooring types, one application is enough as a rule, although a second application increases the level of protection. A second application is necessary however in the case of linoleum and other absorbent floor coverings. 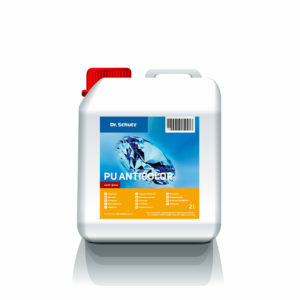 Apply two applications of Super PU 100 using the Aquatop Roller, allowing at least 2 hours drying between. 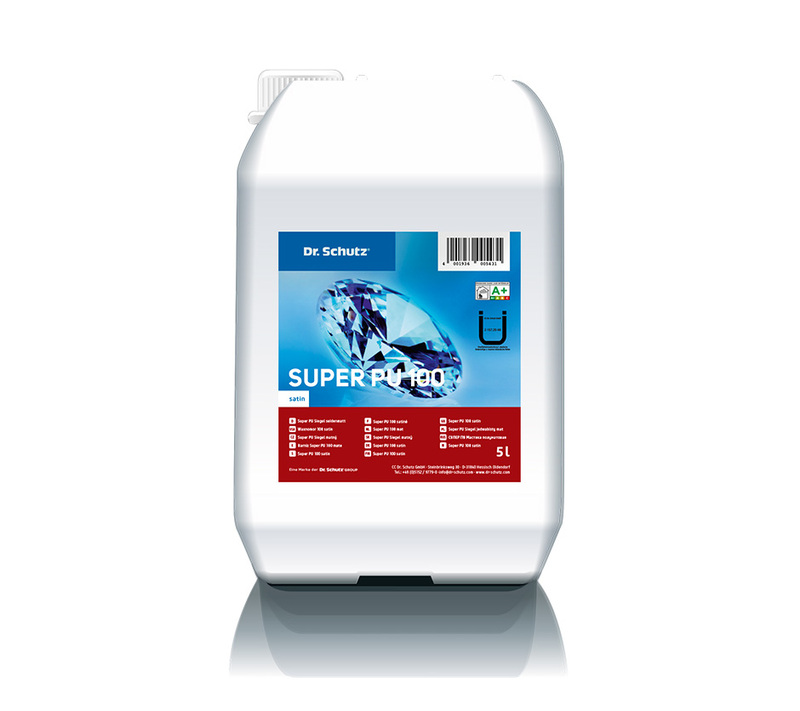 The sheen of Super PU 100 (Satin or Matt) does not diminish with time and does not need to be polished, waxed or stripped at any time in order to maintain. 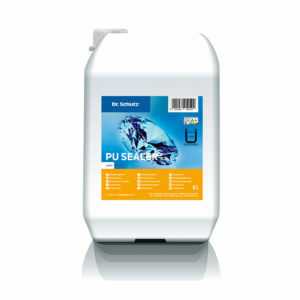 Simply clean the surface using PU Cleaner with an auto-scrubber or damp mop to ensure the surface remains clean. Guaranteed 6 times higher long-term protection for the surface against friction damage and scratches, proven to extend the lifetime of floor use in comparison to conventional sealers. In the case of linoleum and other floor qualities with a removable factory protective finish, this must be removed completely before applying Super PU 100. Super PU 100 and the cross linker, once mixed, are suitable for use for approx. 4 hours at the working temperature of 15-25°C. For this reason, only mix the quantity of sealer that can be processed within this period of time. Where sealer and cross linker are subjected to higher temperatures, the working time is reduced considerably. In case of cold components, the mixing procedure cannot be performed with sufficient thoroughness. Do not tightly seal the canister containing ready-mixed sealer since the sealer/cross linker mixture can, in the course of time, react even in the canister resulting in the build-up of reactive gases. 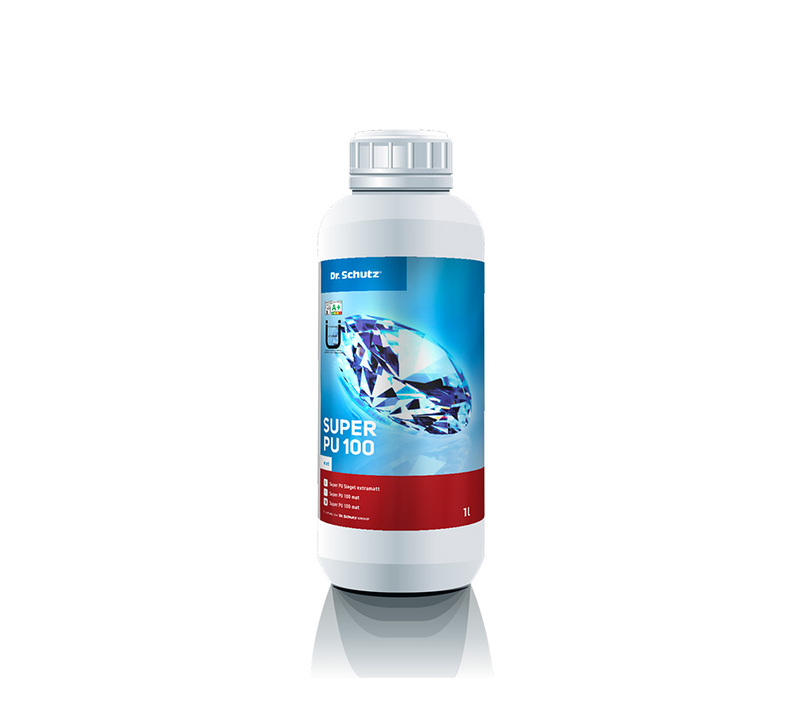 Add the full contents of the cross linker into Super PU 100, however if partial quantities are to be mixed, always mix sealer and cross linker in a ratio of 10:1 and by adding the cross linker into the sealer. With newly laid, non-absorbent flooring types, one application is sufficient as a rule, although a second application increases the level of protection. A second application is necessary in the case of linoleum and other absorbent floor coverings.